Waymo sues Uber: Waymo has filed a federal lawsuit claiming Uber and its self-driving truck company stole Waymo’s self-driving car technology. Uber is dismissing the allegations, calling them a “a baseless attempt to slow down a competitor.” In the San Francisco federal court, the complaint alleges that an Otto self-driving truck employee earned that company more than $500 million before Uber acquired Otto. The suit alleges that Uber allegedly built a Lidar system for its own self-driving test project that lifted confidential designs from Waymo’s own technology. The company had committed “calculated theft” of Alphabet’s technology, the filing said. Uber committed to “vigorously” defend against the claims in court. Plug-in pickups: Workhorse Group will be supplying 500 of its W-15 Plug-In Electric Pickups through an agreement made with Southern California Public Power Authority (SCPPA), a joint power authority made up of 11 municipal utilities and one irrigation district in the region. The company cites letters of intent also being signed with Duke Energy, Portland General Electric, the City of Orlando, and other fleet clients for acquisitions of electric trucks. Workhorse says tat the W-15 light duty platform design is an extension of the E-Gen electric technology used in its medium-duty delivery trucks. It will be revealed at ACT Expo 2017 in Long Beach, Calif, with an expected starting price of $52,500 and deliveries beginning in 2018. Tap into event promotions: Don’t forget about working Green Auto Market to promote your industry events. 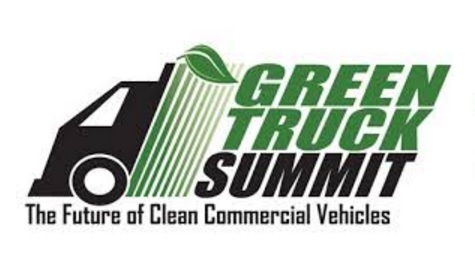 Readers show a lot of interest in upcoming events and resources they can utilize to participate, as you can see in this week’s special feature on Green Truck Summit and ACT Expo 2017. GAM has been able to offer support and promote conferences through event coverage, e-blast announcements to readers, updates and links to websites, social media (such as an active Twitter page), and video. Those interested can reach me at jon@jonlesageconsulting.com. Panamera plug-in hybrid: Porsche says that the new Panamera Turbo S E-Hybrid will be the new flagship in the Panamera line for its “electromobility” and power delivery. The all-wheel drive plug-in hybrid is expected to deliver impressive performance numbers in power and torque. The company said that the Panamera Turbo S E-Hybrid shows the “high importance of electromobility to Porsche.” It will go 50 kilometers (31 miles) on battery only; but that comes from European NEDC standards and would be less in the U.S. Carbon tax: ExxonMobil CEO Darren Woods is backing the Paris Agreement and has called for a carbon tax to reduce U.S. emissions. In a blog post on the ExxonMobil website, Woods outlined his company’s plans to boost natural gas generation, energy efficiency, biofuels and carbon capture and storage to help drive down emissions. Woods replaced Rex Tillerson in January. Tillerson now serves as Secretary of State under President Trump. Tesla CEO Elpn Musk has been asking Tillerson to support bringing a carbon tax through Washington. Mercedes EQ Power: Mercedes is launching the EQ Power sub-brand this summer, the company announced. All of the next hybrid and EV models will come out under the new brand, which was first revealed at the 2016 Paris Motor Show. Future AMG hybrid models will have EQ Power+ designations. The company has said it will launch 10 battery electric models by 2025 under the EQ umbrella, with the first model expected to arrive in 2019. 4 more Gigafactories: As a note to investors sent with its quarterly financial report, Tesla said it expects that long-term demand for its electric vehicles require the company to add four more Gigafactories beyond its current Nevada plant. One of the four will be established at SolarCity’s facility in Buffalo, N.Y., which Tesla acquired through the acquisition of the solar power company; the other three will probably be placed overseas such as in Europe and Asia. VW e-Golf doubles range: Volkswagen of America has gained a 50% increase in estimated range by the U.S. Environmental Protection Agency for the 2017 Volkswagen e-Golf. The new e-Golf can go 125 miles on a single charge, up from 83 miles in the previous model year. A new lithium-ion battery has 35.8 kWh, up from 24.2 kWh. It also received a better EPA fuel economy rating with 126 MPGe in city driving, 111 MPGe highway and 119 MPGe combined. That’s up over 126/105/116 respectively in comparable ratings for the 2016 model in EPA ratings. GM bringing out 1,000s of automated Bolts: General Motors believes enough in the synthesis of electric vehicles, autonomous driving, and shared rides to roll out “thousands” of self-driving Chevy Bolts through its Lyft alliance by 2018. That comes from two sources familiar with the matter who weren’t identified. GM’s Maven carsharing business unit is likely to be involved in managing some of the automated Bolts as well, sources said. That would make for the largest fleet deployment of self-driving vehicles ever seen, as Waymo, Uber, Ford, Fiat Chrysler Automobiles, and others prepare for commercialization of the nascent technology. Analysts think that the fusion of EVs, AVs, and mobility will be taking place in increasingly crowded, polluted cities around the world. Automated EVs can be recharged efficiently and cheaply, are much easier and cheaper to maintain than ICEs, and can converge more logically with computers already driving AVs. Human drivers are expected to deliver most of the trips for Lyft, Uber, Maven, Zipcar, and others in the near future, but autonomous vehicle trips are thought to provide a solution to mobility services getting hit with peak demand during periods when there aren’t enough drivers out there and fares are known to skyrocket. Battles ensue over future of autonomous vehicles: Thorny legal issues are being delved into as autonomous vehicle technology strides forward. Waymo, Uber, a few automakers, and industry groups are working against potential new state laws that would only allow automakers to test autonomous vehicles in those states. Michigan started it all off with a bill that was given input from General Motors limiting access to state testing to automakers. The state did revise the bills wording of “motor vehicle manufacturer” based on suggestions by Uber and Waymo to include companies developing and testing self-driving systems. Tennessee, Georgia, Maryland, and Illinois are reviewing bills in line with Michigan’s first version limiting access to automakers, Automotive News reports. Last week, executives from Toyota, General Motors, Volvo, and Lyft urged the U.S. Congress to unify the patchwork of state laws governing testing and development of self-driving cars. One of the problems has been how much the regulatory structure varies by state, with California wanting a more careful, phased in testing and adoption procedure and Michigan supporting fully autonomous vehicles in the near future. Ford Motor Co. has found that gradual, semi-autonomous vehicle testing hasn’t been the way to go; with several Ford engineers falling asleep during test runs. The rides have been relaxing enough for engineers to fall asleep and take away the human safety factor. Ford agrees with Alphabet’s Waymo self-driving car division and a few other automakers that Level 5 fully autonomous is the way to go; there are also several other automakers who disagree over that one and think vehicles should stay at Level 3 for now and complete extensive testing. Fighting over fuel economy standards: Automakers and environmental groups are prepared for a long-term skirmish over the future of the 2025 federal fuel economy and emissions standards. Tension increased after a recent letter was sent o President Donald Trump signed by 18 auto industry executives asking him to reinstate a U.S. Environmental Protection Agency review of fuel economy regulations through 2025. Automakers say that the U.S. Environmental Protection Agency unfairly cut the public comment period short before the Obama administration left office. Automakers had been sending out warning to the administration on job loss and heavy costs connected to manufacturing and marketing these fuel efficient vehicles; when the public has been showing more interest in SUVs, crossovers, and pickups. Environmental groups have been threatening legal action if the rule gets weakened. 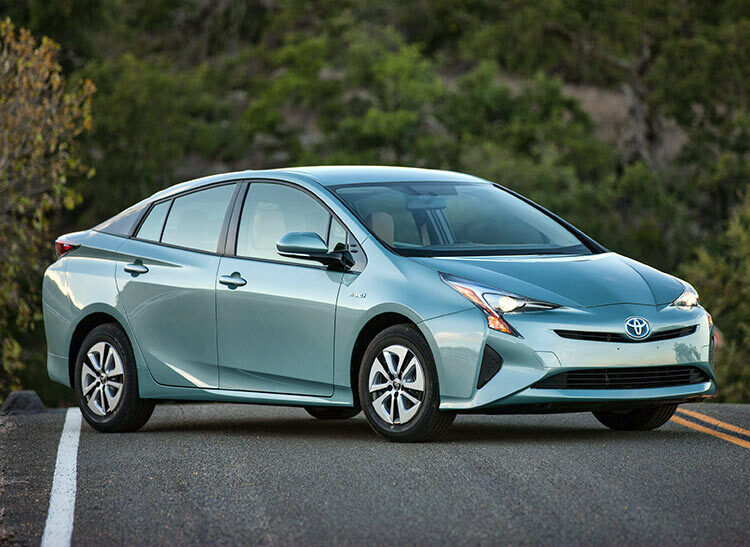 Prius Prime sales: The Toyota executive considered to the “father of the Prius” when it was launched 20 years ago thinks that the plug-in hybrid will hit the million unit sales mark faster than the original hybrid version. Toyota chairman Takeshi Uchiyamada said he expects Prius plug-in hybrids to pass the one million unit sales mark in less than 10 years, which is how long it took for the hybrid Prius to reach that sales benchmark; that will include the original Prius Plug-in Hybrid and the new Prius Prime. The company expects to sell about 60,000 Prius Primes a year, with more than half of these vehicles being sold in Japan. The original Prius plug-in hybrid only had about 75,000 units sold from its launch in 2012 to its closure in 2015. “Environmental awareness has become a bigger issue today than it was 20 years ago, and demand for environmentally conscious products has increased,” Uchiyamada said. Greenest and Meanest: The Hyundai Ioniq Electric won the highest-ever green car score in American Council for an Energy-Efficient Economy’s annual Greenest vehicle award, with the BMW i3 coming in a close second. Each car is given a green score by ACEEE based on an environmental damage index, which estimates pollution coming from vehicle manufacturing, the production and distribution of fuel that powers the vehicle, and vehicle tailpipe emissions. The Mercedes-Benz AMG G65 was named the Meanest vehicle on this year’s list, tying with the Chevrolet G2500 Express passenger van; these vehicles are considered to be the least friendly to the environment. Advanced biofuels: A new Lux Research study sees first- and second-generation biofuels bowing out to newer low-carbon fuels. Biodiesel is projected in the study to lose 26 percent market share by 2022 due to the rapid growth of low-carbon and high-performance drop-in biofuels such as renewable diesel. The study predicts advanced biofuels will nearly double in five years to 9.6 billion gallons per year. “A new era of technology commercialization has brought the global biofuels industry to the cusp of a tipping point, as new facilities target low-carbon and high-performance drop-in biofuels,” said Runeel Daliah, Lux Research associate and lead author of the report. 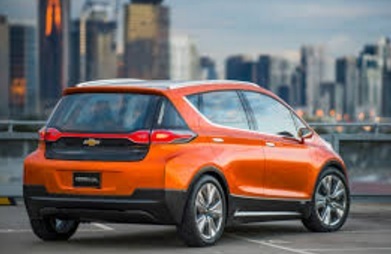 Midwest coalition: A new group called Evolve will bring together supporters of electric vehicles from Illinois, Indiana, Michigan, Minnesota, North Dakota, Ohio, and Wisconsin. The American Lung Association and other organizations are joining together with these states to promote the campaign. Evolve is also partnering with eight regional Clean Cities coalitions, which will be hosting more than 200 events across the Midwest states starting this year through 2020. Volvo electrified launches: Volvo will be bringing out a three-cylinder engine plug-in hybrid, a battery electric vehicle (its first production BEV), and a new 48-volt micro hybrid in 2019. This new three-cylinder PHEV will feature a 9.7-kilowatt hour lithium ion battery in the tunnel, an electric air conditioning compressor, a seven-speed dual-clutch transmission, and a 55-kW electric motor. Estimated battery-only range will be about 31 miles. India offers a look at steep challenges and vast opportunities for clean transportation and energy from the fastest-growing country in the world. India is expected to soon have the world’s largest population at 1.25 billion people. The United Nations predicts India’s population will be larger than China’s by around 2030. Energy demand and oil consumption are expected to reach record levels as an increasing urban population with rising income has propelled greater use of cars, trucks, and motorbikes. And plenty of electricity consumption, as the infamous blackout demonstrated. The July 30, 2012 blackout affected over 300 million people and was briefly the largest power outage in history in terms of the number of people affected. It’s a country where millions of workers are moving to cities for jobs, renting apartments and buying houses, and blowing out power stations through turning up air conditioners on hot and muggy days. India has been dependent on coal for electricity, and oil imports for its transportation. India’s auto sales, including commercial vehicles and motorcycles, rose 9.2% last year to 21.9 million, according to the Society of Indian Automobile Manufacturers. It’s the fifth largest auto market in the world. The country needs a lot of oil to fuel its fleet. Oil consumption set a record by growing 11% last year. Demand for gasoline jumped 12% last year to 23.7 million tons, while diesel demand grew 5.6% to 76.7 million tons. 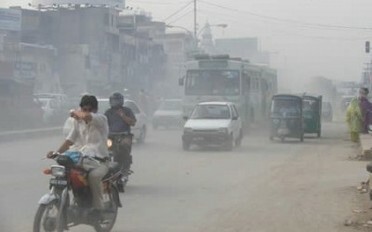 Ever-increasing urban air pollution and the government’s commitment to reduce carbon emissions are drivers for change. India has also been quite concerned over its dependence on foreign oil imports, mostly from the Middle East. Neighboring nation China has very similar concerns. More than 80 percent of India’s crude oil demand is being met through foreign oil suppliers. Along with air pollution, climate change, and the geopolitics of importing oil, India faces capital intensive road and infrastructure issues. Poorly developed roadways and infrastructure will be another hurdle for the Indian government – and Indian and foreign automakers – to clear for vehicle transport to become more viable. India’s goals include more domestic oil production; electrified transportation; liquefied natural gas for commercial vehicles; compressed natural gas for light-duty vehicles; and renewable energy replacing coal. The nation would also like to see its rail system expand. Like China, India has put in place incentives to get automakers to build plug-in electrified vehicles in the country, and to import their PEVs from elsewhere. India’s renewable energy ministry launched a program in 2010 that included a reduction of battery import duties from 26% to 4%, and consumer rebates of up to 20% off the window sticker price. The PEV market could offer huge potential in coming years for Indian and foreign automakers. Finding a charging infrastructure will also be an issue blocking car shoppers, as will be cost, and trying out a new technology that they have little experience with. Maruti Suzuki India Ltd., a subsidiary of Suzuki Motor Corp. of Japan, is India’s largest provider of passenger vehicles. Tata Motors and Mahindra & Mahindra Ltd. are two leading automakers in India, with other Indian commercial vehicle and motorcycle manufacturers doing well in sales in that market. Korean maker Hyundai has been another leading foreign import company in India along with Suzuki’s subsidiary. An Indian government program called “Make In India” has been helping the auto industry grow and create jobs in India. Mahindra & Mahindra’s electric vehicle division has been selling its e20 small electric car in the country, and its eVerito electric sedan, but there are few import PEVs to choose from. Mahindra Electric just introduced a new electric car, e20Plus. The challenge for Mahindra Electric has been selling the idea of idea of owning and driving an electric car, according to Mahesh Babu, chief executive officer. Making people understand the need for “sustainable mobility” has been a very important point to make, the Mahindra Electric chief said. Babu sees the need for developing an ecosystem with adequate infrastructure to encourage consumers to try out the new technology. The company had increased its production capacity to 5,000 vehicles a year, and would like to sell its cars globally. As for now, meeting the aspirations of Indian customers has been challenging enough, he said. Maruti Suzuki, a subsidiary of Suzuki Motor Corp. of Japan, has reported selling 100,000 hybrid variations of its vehicles as a way for consumers to find fuel efficiency, reduced running costs, and lower carbon emissions. The automaker has about 50% of the overall market share in the Indian market. Tesla, Inc., is taking its global outreach very seriously this year. Tesla’s website says that outside the U.S, the company has a presence in Mexico, Canada, Europe, Australia, China, Hong Kong, Japan, and Taiwan. The electric automaker will soon be adding India, Dubai, and South Korea to its list. CEO Elon Musk on February 7 tweeted that Tesla is hoping to open a store in India during summer 2017. Musk has been thinking about entering the Indian market for a few year now; in 2015, he mentioned setting up a Gigafactory in that country. Indian Prime Minister Narendra Modi and his delegation toured Tesla’s California corporate campus in fall 2016. Tesla was invited to be a part of India’s strategy to become a global center for renewable energy leadership. Modi was particularly interested in Tesla’s Powerwall energy storage product as part of its own renewable energy campaign. The country has a serious problem to overcome in distributing energy evenly, and affordably, across the country and Powerwall could help accomplish the government’s goals. One thing to keep in mind is that vehicles built for the Indian auto market are similar to the UK market – steering wheels are placed on the right side of the vehicle. Tesla’s manufacturing plant in Asia, which is expected to be located in China, will have to accommodate that need. Tesla will be entering the Middle East to sell and service its electric vehicles through online sales and a retail store in Dubai. Tesla said that it’s opening a store at the Dubai Mall. A Tesla service center will be opened on Dubai’s Sheikh Zayed Road in July. At a Dubai press conference, Musk recently said that a store and service center will open in Abu Dhabi in 2018, with plans by the company to expand to Bahrain, Oman, and Saudi Arabia. Tesla is preparing to enter the Korean market in May following the South Korean government’s approval, and will establish Tesla service centers. The service centers will also offer Superchargers and will oversee Tesla autonomous driving features. Tesla went into talks last year to set up a Tesla store at what has become South Korea’s largest shopping mall, Starfield Hanam, which opened in September. JSW Group, an Indian power and metals conglomerate, will be building electric cars by 2020; that’s coming from expectations the India government will further promote PEVs and falling battery prices will make them more affordable. The Mumbai-based corporation will set up the PEV business on its own and initially buy batteries from suppliers, Chairman Sajjan said in an interview. The company will consider setting up a joint venture for making batteries in the longer term. The Indian government has set a few goals to reduce oil imports, improve air quality, and reduce carbon emissions. Objectives include more domestic oil production, liquefied natural gas for commercial vehicles, compressed natural gas for light-duty vehicles, and renewable energy replacing coal. Strong demand for oil and fuel production has led Indian refiners to spend billions of dollars in recent years to meet market demand, especially in nationalized companies. State-run Indian Oil Corp. has been expanding its existing refineries across the country. India is seriously considering LNG as a replacement for oil. Indian conglomerate Tata is bringing long-distance trucks powered by LNG as a replacement to diesel-fueled trucks to the market. Public transport, taxis, rickshaws, and quite a few private cars have been converted to compressed natural gas (CNG), which is cheaper and cleaner than diesel or gasoline. The country is looking for economic stability and environmental gains from reducing its dependence on oil and coal. Volkswagen’s settlement of the its “dirty diesel” scandal took a step forward last week with formation of the Electrify America LLC subsidiary. 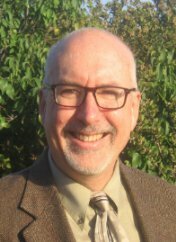 The new business unit, led by longtime executive Mark McNabb, will carry out $2 billion in investments in zero emission vehicles, infrastructure, and public outreach over the next decade. 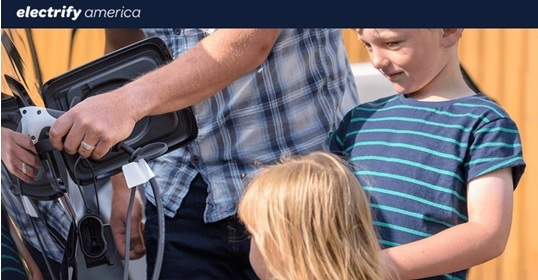 As part of the settlement, VW has been directed to make its outreach and education programs “brand neutral,” and not become VW electric vehicle marketing campaigns; and, its charging stations are to be accessible to all plug-in electrified vehicles. The $2 billion settlement presents a big opportunity for stakeholders in the field to find funding and support for their own contributions of PEVs, fuel cell vehicles, alternative fuel vehicles, charging and fueling infrastructure, and public education and outreach. It’s all part of the automaker’s settlement last fall on excess diesel emissions from nearly 600,000 U.S. vehicles; it requires that $800 million be spent in California and $1.2 billion be invested throughout the rest of the U.S. VW has already agreed to spend up to $25 billion in the U.S. on diesel emissions cheating settlements to address claims from owners, regulators, U.S. states, and dealers; and has offered to buy back about 500,000 polluting vehicles. The German automaker has other settlements to reach in Europe and Asia. Timing: Volkswagen Group of America will accomplish its 10-year mission over four 30-month investment cycles. The four $500 million investment cycles must receive approval from the California Air Resources Board and the U.S. Environmental Protection Agency. Chargers: Construction of PEV chargers will start in 2017, in about 15 metro areas with 300-plus stations at Level 2 or DC fast chargers in the 50 to 150 kW range. A cross-country network of fast chargers will be set up at 200 or more stations, and these may include multi-unit dwellings, workplaces, retail locations, and community centers including municipal parking lots. Outreach: Public awareness and outreach will be carried out through information on charging availability, the benefits of electric mobility promoted through various methods including ride and drives, multi-channel advertising, website, social media, and educations programs. Future concepts: A Green City initiative will be launched in a California municipality to pilot future concepts supporting sustainable mobility, a ZEV-based shuttle service using PEVs or fuel cell vehicles, PEV-based carsharing services, or ZEV transit vehicles. VW executive: Mark McNabb, has served as executive vice president and COO for EVP and for Volkswagen of America. He has overseen the diesel settlement program and will continue to do so in his new role as head of Electrify America. California sales: While VW is to remain brand neutral in the campaign, California wants the company to sell more PEVs in the state. In December, California said VW would be rolling out three new PEVs in the state by 2020, including an SUV. The automaker also agreed to selling at least 5,000 PEVs annually in California through 2025. I.D. electric vehicles: VW has been rolling out its I.D. family of all-electric vehicles since the Paris Motor Show last fall showcasing a compact-sized hatchback. That was followed later by an electric SUV and a microbus MPV. These EVs are said to be coming out between 2020 and 2022. Overall, VW has said it will launch 30 all-electric vehicles by 2025 through its brands. Hot topic: How this $2 billion will be spent has become an important issue to follow at industry conferences and through information resources. It’s a topic being discussed now at Energy Independence Summit 2017 in Washington, D.C, which goes through February 15. It will also be an issue discussed during ACT Expo in May 2017 in Long Beach, Calif. Reaching out to state legislators: National Propane Gas Association and Propane Education & Research Council are working with state associations for development of mitigation plans at the state level; NPGA is relying on its extensive grassroots operation to advance this initiative. There are still several steps that need to take place before funding is made available, but the momentum is already building in the states to develop mitigation plans, according to NPGA. States are being given funds to replace older, dirtier diesel vehicles with clean vehicles. Propane has been successful in replacing diesel fleets, and other alternative fuels and clean vehicles are being considered, as well. Charging fairness: Charging infrastructure companies have asked regulators to take give fair competition a chance – so that VW doesn’t build and install its own chargers or favor one or more suppliers over others in the market. ChargePoint, which operates the largest U.S. network of charging stations, requested an intervention in federal court in October, stating that the settlement could have an “enormous, and if not modified, potentially disastrous” effect on the market. Chargepoint was one of 28 companies and organizations that sent a letter to the U.S. Department of Justice calling for an independent regulator to ensure VW’s spending doesn’t take away competition in the market. 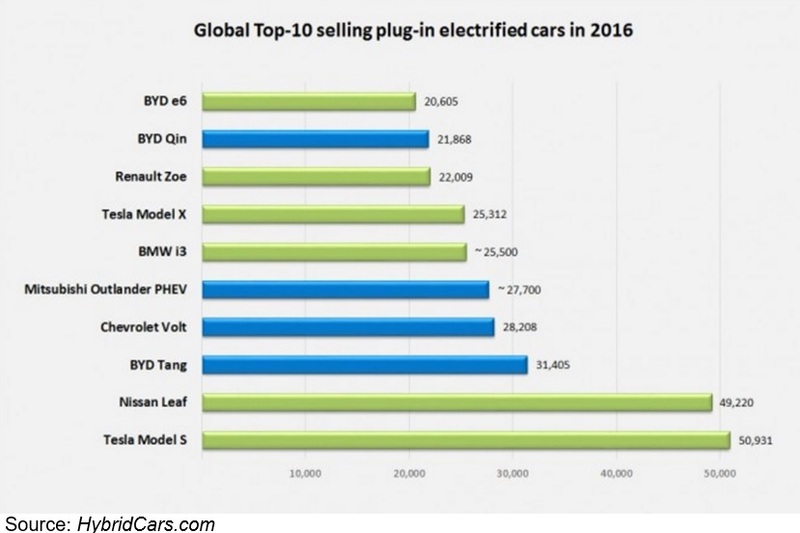 What are the top selling global plug-in vehicles and what do forecasters think will be next? From a U.S. market perspective, the Nissan Leaf has been taking a dive in sales in the past couple of years. Viewing it by global sales volume provides another perspective. In 2016, the all-electric Leaf came in fifth place in the U.S. with 14,006 units sold. Leading the market were the Tesla Model S at 29,156, the Chevy Volt at 24,739, the Tesla Model X at 18,028, and the Ford Fusion Energi at 15,938 units sold. Globally, the Leaf followed close behind the Model S in 2016 with 50,931 units sold for the Model S versus 49,220 for the Leaf; and since its launch, the Leaf is the clear market leader for cumulative global sales, far ahead of the Model S and nearly double sales of the Chevy Volt, according to HybridCars. Automakers take the U.S. market very seriously for launching and marketing a new technology like plug-in electrified vehicles. But it’s not all about the U.S., and some automakers have given other markets more weight in the initial phase of the car. The Mitsubishi Outlander plug-in hybrid has been a leader in Europe and was the fifth top selling PEV globally last year – which has yet to be launched in the U.S. BYD has three of the top selling PEVs in the world and has just started seeking a second EPA certification to start selling it e6 electric vehicle in the U.S.
Nissan’s partner Renault topped the European market last year, just passing by the Outlander PHEV with 21,337 units sold last year compared to 21,328 units, respectively. The European Alternative Fuels Observatory reported that the Nissan Leaf finished in third place in that market last year, with 18,557 vehicles sold. The VW Passat GTE plug-in hybrid had 13,248 units sold and the Tesla Model S came in fifth place in the European market with 12,353 vehicles sold last year. The Nissan Leaf switched places with the Model S, which dropped 26 percent from 2015 sales in Europe. The all-electric BMW i3 did better in Europe than the U.S. last year, with 9,726 units sold in Europe and 7,625 vehicles sold in the U.S. (The i3 numbers do include a few sold with the range extender plug-in hybrid option). The European Alternative Fuels Observatory said it will be watching to see how the Opel Ampera-e MPV and Smart ED rollouts do in the BEV segment; and the BMW 530e and second generation Porsche Panamera do in the plug-in hybrid segment.